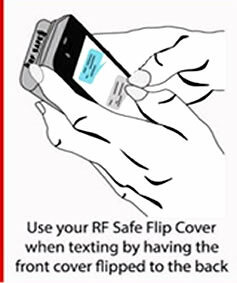 NOTE: To use RF Safe 3.5mm air-tube headsets with an iPhone X requires the 3.5mm to Lightning Adapter that was provided with your new iPhone X – Another option is to use your air-tube headset wirelessly with RF Safe’s Bluetooth 3.5 mm dongle for air-tube headsets. 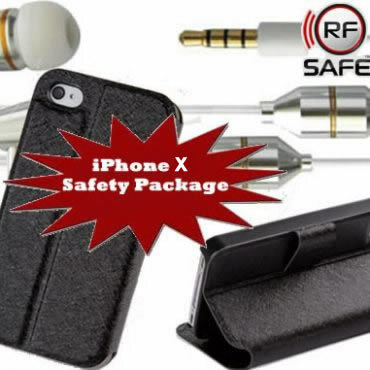 The stylish RF Safe air tube headset is a perfect replacement for the potentially hazardous wired headset that came with your iPhone X is available in single earbud (mono) and dual earbud (stereo) designs all Apple smartphones. 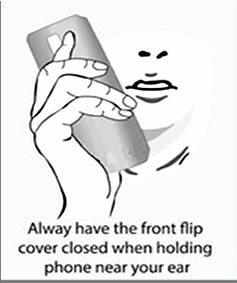 This HANDS-FREE headset with air tube technology is designed to keep potentially harmful iPhone X radiation away from your head. 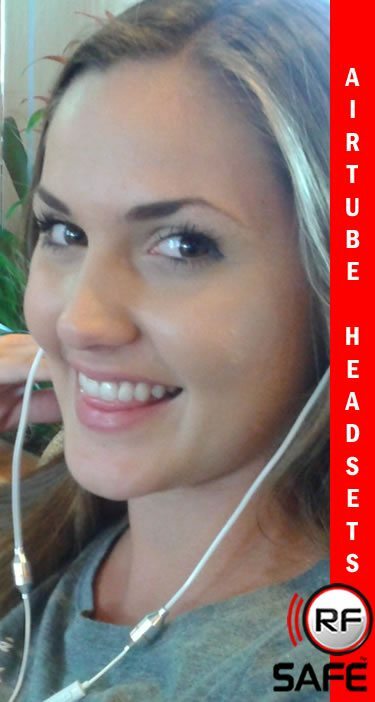 Using an air-tube to conduct the sound to your head, there are NO electrical components conducting sound to your ears. Much like a Doctors stethoscope, only an air tube is used to conduct sound to the earpiece. 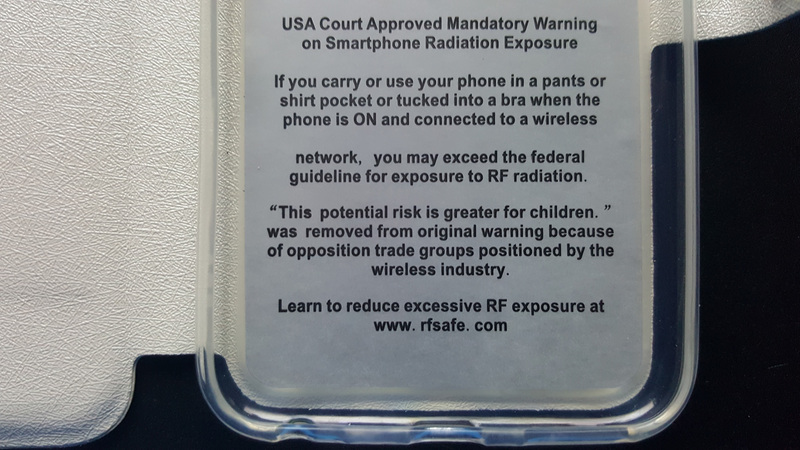 Wires or cables connected/extending from electronic devices using radio waves (such as cell phones), if not shielded can emit over ambient RF radiation levels. 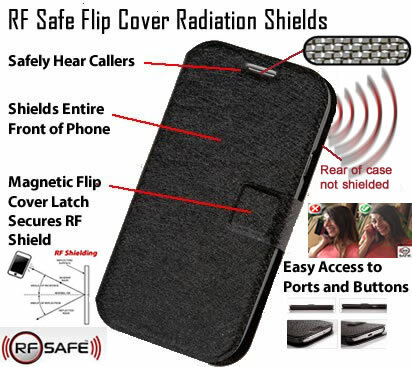 To suppress high-frequency RF radiation from interacting with sensitive electronics and even a cell phone users body, we offer a line of clamp-on ferrite suppressors. 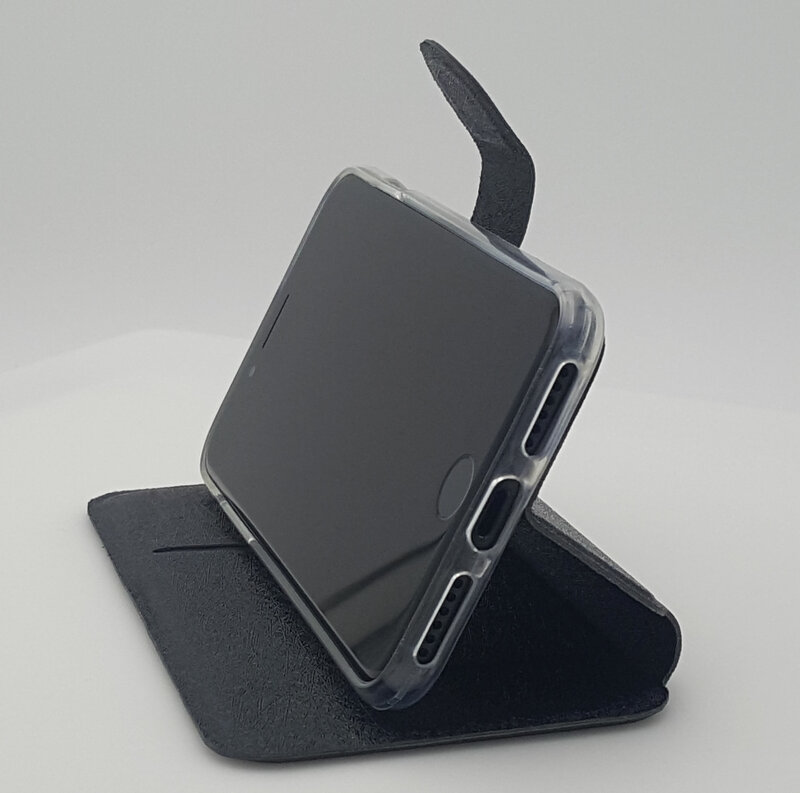 Our ferrite aims to shield potentially harmful electromagnetic fields from traveling along computers wires, electric wires and cell phone headsets wires that come in contact with your body. 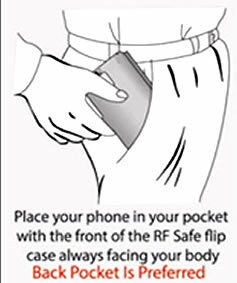 To avoid excessive microwave exposure to vital organs and/or fetal development when using your cell phone next to your body, a deflective barrier “RF Safe iPhone X Flip Case Shield” should be used between you and the handset itself. 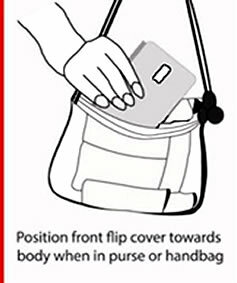 Simply always keep the shielded “front” of the phone facing your body at all times.